Another new year and judging from the advanced copies of 2016 romance releases that I've already read, it's going to be a great one! Here's what we have on our schedule for January. 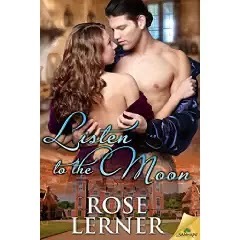 Rose Lerner will be blogging with us on Tuesday, January 12. Listen to the Moon, the newest book in her Lively St. Lemeston series once again pushes the conventional boundaries of historical romance expectations with a love story between a by-the-rules butler and an irrepressible maid. I can't wait! 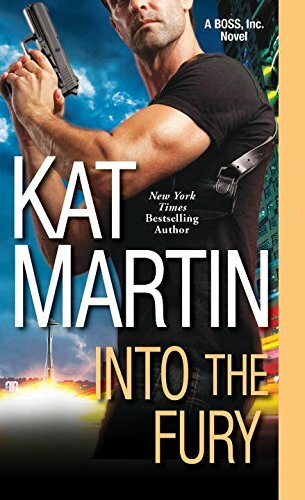 Thursday, January 14 brings the return of one of our favorite romantic suspense authors, Kat Martin. Into the Fury kicks off her new BOSS, Inc series and introduces readers to three new Brodies, a bounty hunter, a bodyguard, and a P.I., the men of Brodie Operations Security Service, Inc.
Friday, January 15 brings another On Second Thought column where Janga takes a look at favorite books that have been reissued in digital format. Nancy Northcott joins us with a guest blog on Monday, January 18. Her most recent release, Magic & Mistletoe is a short story set in her Light Mage Wars world. The tagline for this story, "Can a bookworm and a badass find love?" captured me before I ever read the first word! On Monday, January 25, Madeline Martin will be our guest. Enchantment of a Highlander, the third book in Martin's debut series, will be released January 19th. If you enjoy historical highlanders in stories with plenty of adventure, suspense, emotion and romance then you should give this talented new author a try. I am looking forward to Eloisa James' Duchess book. That's the key one. I think THE ROCK (McCarthy) might be technically considered a January release (it came out on December 29th), and I haven't gotten to it yet because I read THE ROGUE NOT TAKEN (LOVED!) and am reading Higgins' newest now. 2016 is looking VERY bright indeed! Catherine Anderson's new book, New Leaf, looks good. Also looking forward to Nicole Jordan's, The Art of Taming a Rake. I'm looking forward to reading Sarah MacLean's latest book anything Highlander related and getting all my Christmas stuff packed away. I haven't read the most recent Janet Evanovich Stephanie Plum book yet, and the next JD Robb Brotherhood in Death is coming out soon - I just started Kristen Hannah's 'The Nightingale' (it's a heavy subject - life in Nazi occupied France) so I need to find something lighter to read next. Husband has several doctor visits scheduled this month. I have started my Goodreads challenge. I have 3 books coming through on pre-order. Just Stop Me by Rosalind James, On The Rocks by Kim Law and House of The Rising Son by Sherrilyn Kenyon. Sounds like a very interesting line-up of authors and their books for the month of January. I'm looking forward to releases by Elizabeth Boyle (The Knave of Hearts); Sophie Barnes (The Earl's Complete Surrender); Eloisa James (My American Duchess); Erin Knightley (The Viscount Risks All) and I just got a copy of The Lady's Command by Stephanie Laurens. Two books I'm looking forward to reading came out December 29th but by the time I'm going to read them it's January. One is The Lady Commands by Stephanie Laurens and the other is Dukes Prefer Blondes by Loretta Chase.Two new releases are My American Duchess by Eloisa James and Mastered by Maya Banks. Oops, it's The Lady's Command by Stephanie Laurens. Sorry. I am looking forward to Into the Fury and The Ex. I got New Leaf as an arc and it was really good.